Tiffany finds that she also is continually learning from experiences, patients and colleagues. As she sustained numerous sport injuries through the years, Tiffany sought assistance from a physiotherapist so she could continue enjoying the sports she competed in. For Tiffany, the most fulfilling aspect of being a physiotherapist is helping individuals in pain or discomfort, enabling them to make invaluable changes to their quality of life. 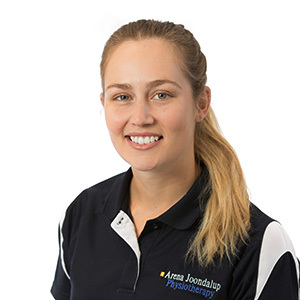 Outside of Arena Joondalup Physiotherapy, Tiffany loves to stay active through triathlon training and general physical activity such as going to the gym or beach and walking. She also likes cooking new recipes and experimenting with herbs and spices, watching TV shows and socialising with friends and family. If you’ve sustained an injury at work or were an involved in an auto accident, we can provide you with the care you need. Contact us today to book an appointment with one of our experienced physiotherapists!